​The public meeting scheduled by the Army Corps of Engineers to discuss their Master Plan for the Charles River Natural Valley Storage Area (a.k.a. 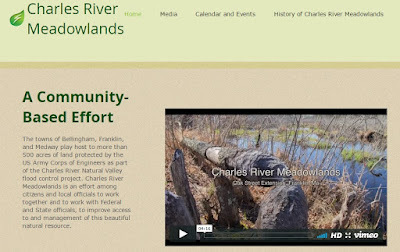 the Charles River Meadowlands) will be held on Wednesday, April 19 from 5-8 pm at the Millis Town Library, 961 Main St, Millis…This is a unique opportunity to share concerns and views with decision makers at the Army. Please try to be there!